Manhunt ends after hours-long search in Prince William Co.
A man and woman were wanted in connection with a shooting and carjacking in Woodbridge Monday night. 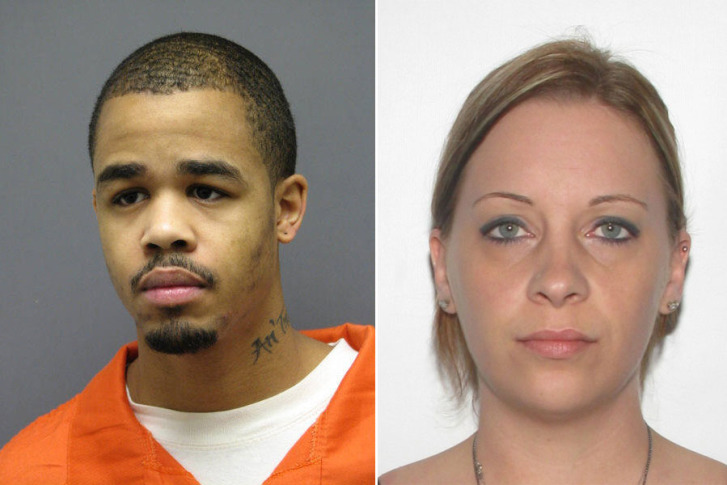 WASHINGTON — After hours of searching a Prince William County neighborhood, police say they have arrested a Woodbridge man and a woman wanted in connection with an overnight shooting. Police say DeWayne Williams shot a man in the face at a Woodbridge McDonald’s. He was spotted in the Montclair area about lunchtime and police spent the afternoon scouring the neighborhood. They brought in police dogs and used helicopters to track his movements. An officer believed she spotted Williams and asked for police dogs to try and track him down about 4:45 p.m., says Officer Jonathan Perok. Soon after Williams’ arrest, his accomplice, Jamie Bowyer, turned herself into police. Williams is charged with aggravated malicious wounding and felony use of a firearm. During the search, police had asked residents to bring their pets in and to stay indoors both to not hinder their tracking and for safety reasons. Police considered Williams to be armed and dangerous. He was first spotted in the area of Skyline Drive and Laurel Ridge Road off of Edge Hill Road in the Montclair area about midday. WASHINGTON — A man was shot in the face and someone else was carjacked in Woodbridge Monday night, and police are still looking for the suspect and an accomplice. Prince William County police say 28-year-old DeWayne Williams shot a man, 23, in the parking lot of a McDonald’s on Dale Boulevard after a confrontation. After the shooting, Williams drove off, police say. Jamie Bowyer, 31 of Stafford, has been named as an accomplice. She was with Williams at the time of the shooting, but they separated following the incident, police say. Once police spotted Williams’ car on Neabsco Mills Road, he drove into the parking lot of Freedom High School and ran to the intersection of Jefferson Davis Highway, where he allegedly carjacked a 26-year-old Triangle, Virginia, resident. During the carjacking, police say Williams got into a verbal altercation with the vehicle’s driver and during the interaction, Williams forced the victim to drive him away from the area. Williams, of Woodbridge, eventually fled on foot at Delaware Drive towards the Misty Ridge Apartment Complex. Police say the shooting victim is expected to be OK. The carjacking victim wasn’t hurt. By Tuesday morning, officers concluded a door-to-door search of the Route 1 and Delaware Drive area. Police say they have no reason to believe Williams is in the immediate area. Both Williams and Bowyer remain wanted in connection to this incident. Williams is described as a black man about 5 feet, 9 inches tall and 140 pounds. He has black hair and brown eyes. He was wearing a white tank top and blue jeans at the time of the shooting and has tattoos on his arms. Bowyer is described as a white female about 5 feet, 4 inches tall and 135 pounds with blond hair and hazel eyes. WTOP’s Megan Cloherty and Kathy Stewart contributed to this report. Follow @WTOP on Twitter and WTOP on Facebook.